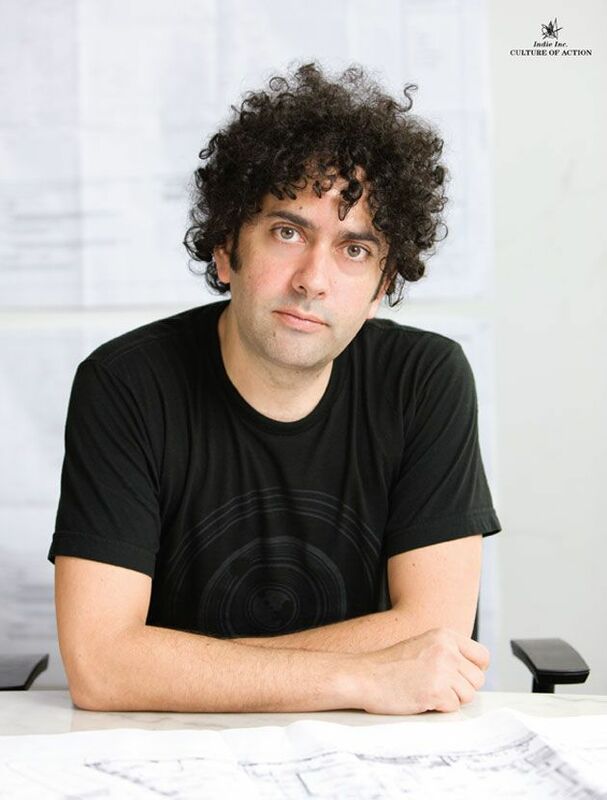 We at Paper were deeply saddened to learn of the death of our good friend Alex Calderwood, owner and founder of the Ace Hotel. Alex was, and will continue to be, an inspiration to us. We'll miss him a lot. Below, we've re-posted our August 2008 profile of Alex. Seattle-born and raised Alex Calderwood must know something we don't. How else to explain his rise from all-around schlepper and assistant for a small sportswear company to hotelier with the soon-to-open 247-room Ace Hotel in Manhattan's hotly competitive boutique hotel category? Early on, Calderwood had the good sense to spot an opportunity in, of all things, barbershops -- some 17 of them, most visible in the Standard Hotels owned by AndrÃ© Balazs. As Calderwood recalls: "AndrÃ© came to town to meet with Bruce Pavitt and Jonathan Poneman of Sub Pop to advise them about a building they were considering for development into a hotel." While walking through the neighborhood they passed Rudy's Barbershop, which caught the attention of the astute Balazs, who invited Calderwood to open one in the first Standard Hotel he was then developing on L.A.'s Sunset Strip. If the word "barbershop" conjures up images of a place where your grandfather would get a shave and a trim, think again. This was Sub Pop and Kurt Cobain, grunge, tattoos and hip haircuts. When choosing their first location, they opted for grit -- deciding on a not-yet-gentrified side street over a more highly trafficked, higher rent option. "In hindsight, it turned out to be the best decision, one that became integral to rolling out most of the others that followed," says Calderwood. "When we opened Rudy's, it was just an idea we liked. We never envisioned opening more. I remember a lot of people whose opinion I trusted telling me it would never work. It took off immediately." And in much the same way that black barbershops have served as neighborhood hubs throughout history, Calderwood discovered Rudy's would quickly transcend haircuts and tats. "What we learned is that it was more of a social experience, like a bar without drinking. People would gossip, talk about a movie they had seen. It became a community cultural center." As a principal in several companies with various partners, Calderwood was able to integrate his ventures even as he kept their operations separate with different offices. "All the companies at different times tend to interface nicely with each other. Neverstop would be producing an event, the key people would be staying at the hotel, we might be doing a party at the bar, and we'd sell tickets at Rudy's." The first Ace Hotel opened in Seattle in 1999, the same year as The Standard in L.A. As one of its original guests, I witnessed first hand Calderwood mix-mastering culture, business, people and style. Artwork by KAWS along with kitschy wallpaper in the rooms gave it the patina of a hip hotel run by genuinely hip people. A second hotel followed in Portland and one in Palm Springs is in the works. Along the way, Calderwood has been approached -- and has rejected --offers to open 100 Rudy's around the country. But when a New York hotel developer extended a hand, he accepted. With the goal of a new hotel every one to two years, he has San Francisco and L.A. in sight. Being hip is not something Calderwood thinks about -- it's just part of the package. "It's [about] being involved in the culture of being like-minded, doing things in the way our customers would feel and emotionally connect with."